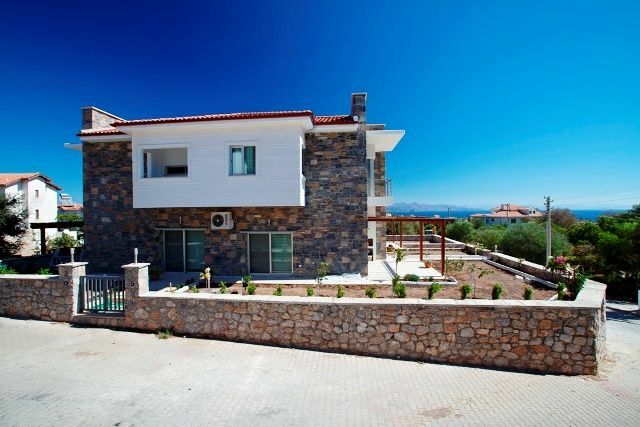 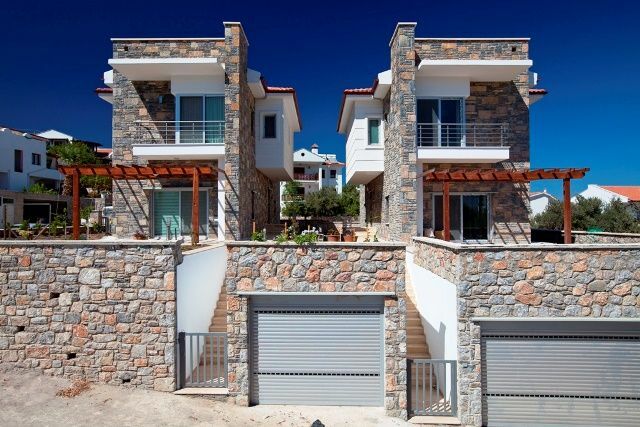 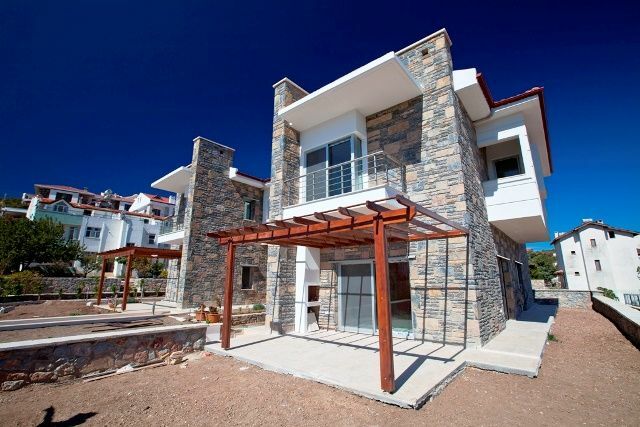 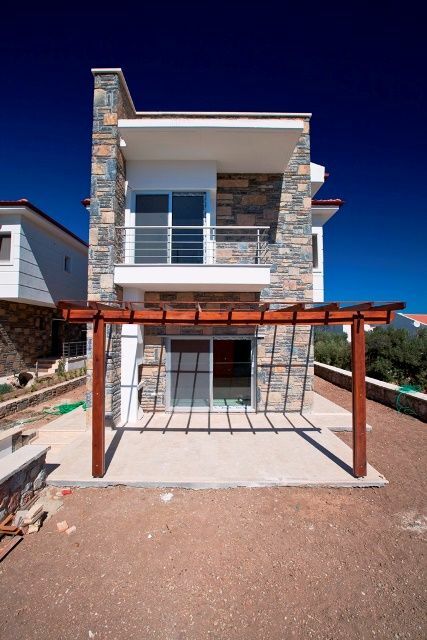 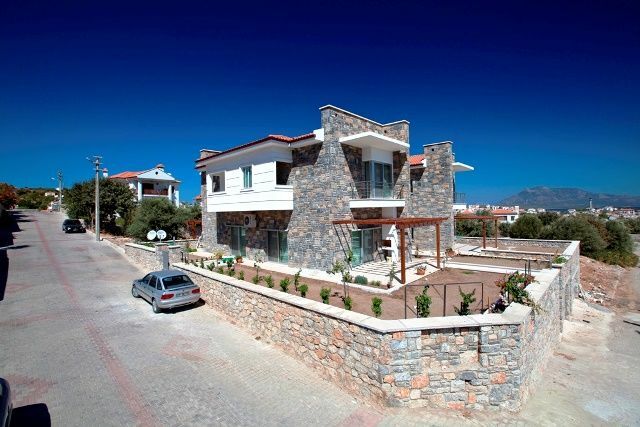 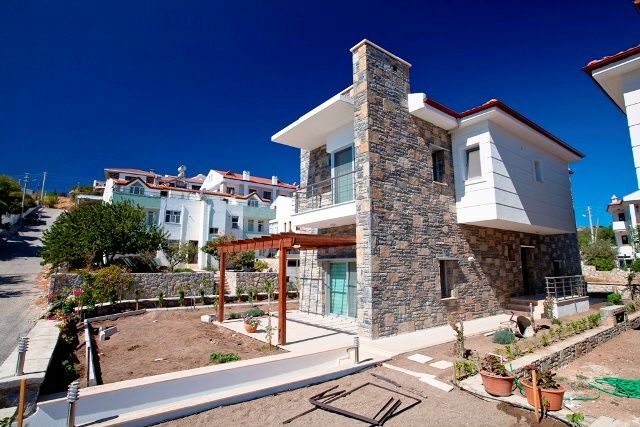 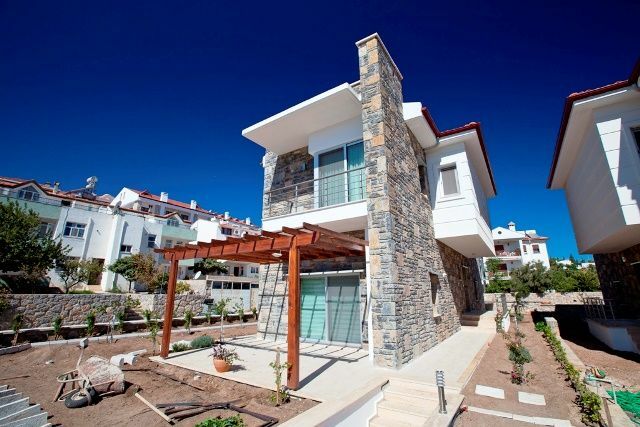 These beautiful stone design villas are located in Datca on the peninsular offering luxury living accommodation with wonderful views over looking the town and out to sea. 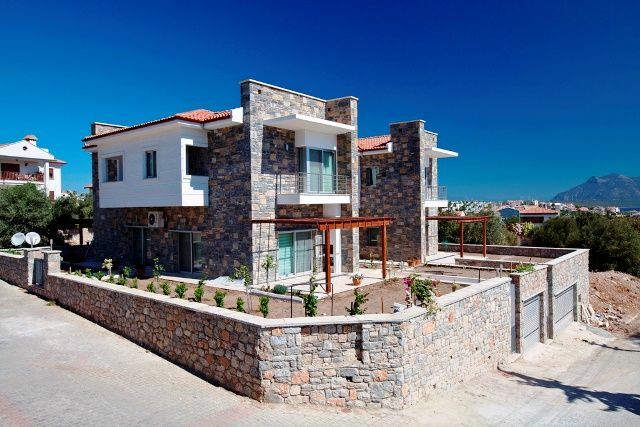 Each of the villas stands on a plot of 235sqm with private gardens , entrance and covered garage area to the front of property . 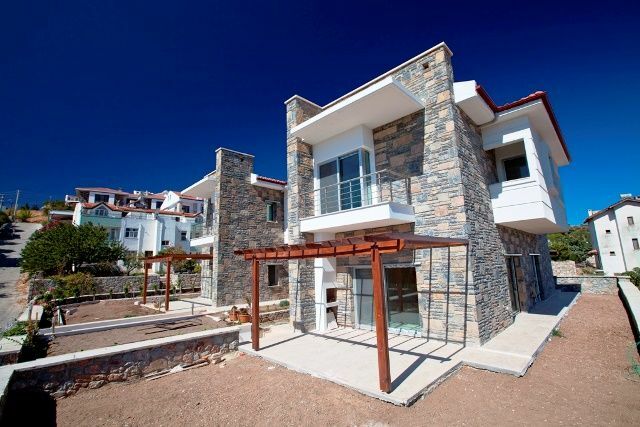 Ground level comprises Entrance hallway with downstairs w.c through into open plan modern design living with fully fitted kitchen leading to dining and lounge area with large patio doors opening onto terrace area . 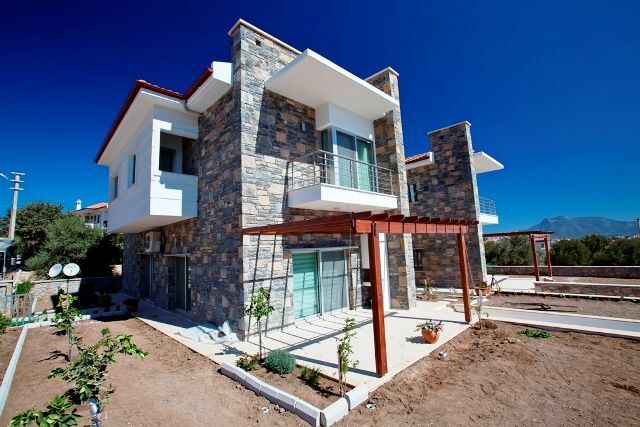 Upper level has 3 bedrooms 2 bathrooms and laundry room with 3 balconies.